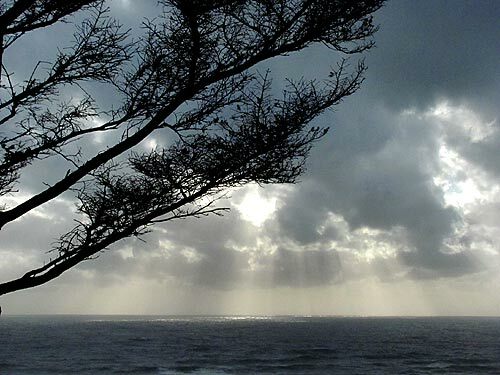 (Nehalem, Oregon) – There are two ways to make a difference on the north Oregon coast in the coming week while also learning more about the area. SOLVE is holding a cleanup of a famed, historic cemetery, and you’ll have an opportunity to count the Brown Pelicans around this shoreline. 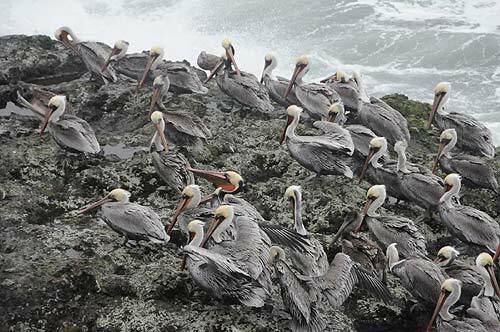 It’s again that time of year for those aficionados of north Oregon coast pelicans to unite. The west coast Audubon network and local partners are conducting bi-annual citizen science Brown Pelican surveys. The Friends of Cape Falcon Marine Reserve and Haystack Rock Awareness Program will be counting these distinctive coastal birds on Saturday, May 19, from 4 p.m. to 7 p.m. Local counting sites will be at the rocky island pelican roosting sites in the Cape Falcon Marine Reserve, just off the community of Falcon Cove between Manzanita and Cannon Beach, Oregon. No experience is necessary, simply a passion for Pelicans. For details and directions to the survey site, contact them by email at capefalconmr@gmail.com or keyser@ci.cannon-beach.or.us by phone at (541) 231-8041. Find out more about the survey at www.ca.audubon.org/brownpelicansurvey. This website includes a survey protocol with instructions on how to do the count and where to enter your data. 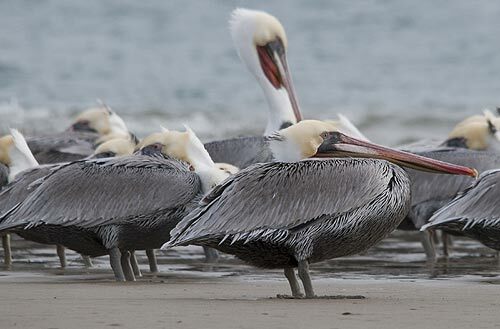 Data collected is being used to help better understand distribution and abundance of Brown Pelicans and track shifts in population structure. 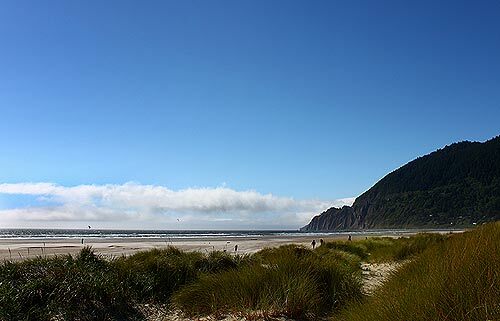 For those interested in preserving Oregon coast history, SOLVE has a plan and a big event on May 12 in the Nehalem Bay area. Nehalem American Legion Cemetery is one of several historic graveyards around Oregon getting a cleanup. Volunteers will be removing invasive weeds, planting native flowers, removing litter, cleaning headstones, and more depending on the event location. No experience is necessary; all training will be provided. The cemetery is at 10755 Necarney City Rd, Nehalem, Oregon, about a quarter mile off Highway 101 in the Bayside Gardens district. “Oregon’s historic cemeteries are sites of great cultural value,” SOLVE said in a press release. “Discover and preserve the state’s history by joining us on May 12. Take this opportunity to learn more about your local cemetery’s history, help maintain it, and join in Memorial Day activities." May is a big month for the state’s historic cemeteries. There are over a dozen sites in as many counties to choose from. To choose from a list of events, go to solveoregon.org/Oregon-historic-cemetery-cleanups or call 503-844-9571. The Nehalem American Legion Cemetery was established in 1901. An active group of volunteers including recent Sally Donovan Award for Historic Cemetery Preservation winner Valerie Vines Magee, has been making a series of improvements to the cemetery. This dedicated group is still in need of volunteers on May 12. Pelican photos above courtesy Seaside Aquarium. Photos below of the Nehalem Bay area.